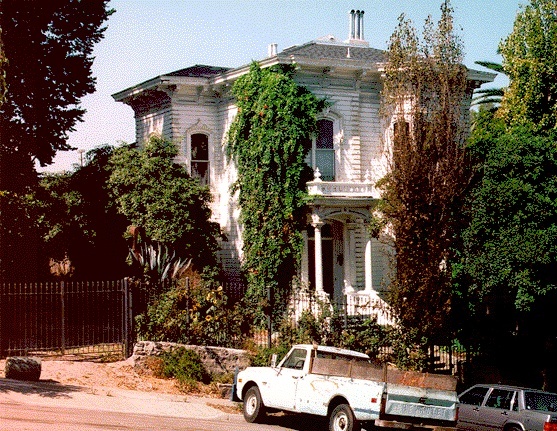 The Adams House in the mid-1990s. In 1850, a Captain Charles Adams sailed into the San Francisco Bay, looking for a new home and base for his whaling ship fleet. Captain Adams came from New Bedford, Massachusetts, and accompanying him to the west coast was his wife. 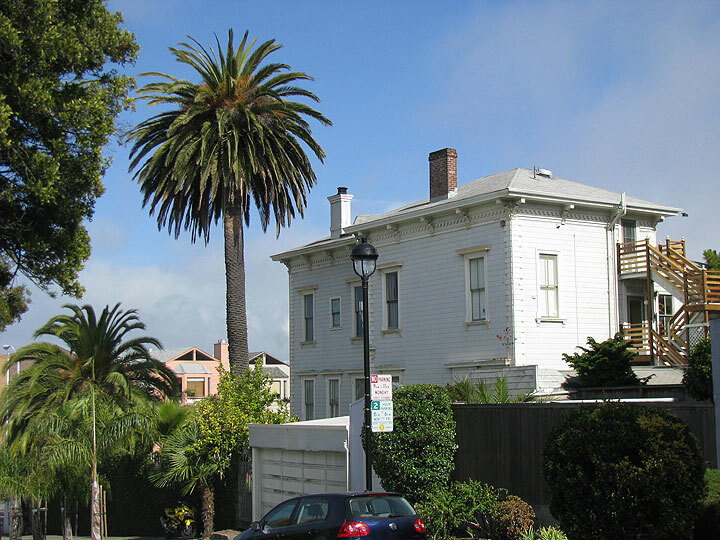 After a careful search of the land in San Francisco, he decided to purchase property on Potrero Hill. Two factors influencing his choice were the abundance of water from the numerous springs and the sunny climate of Potrero. In the vicinity of Eighteenth and Pennsylvania, he purchased four or five square blocks, or approx. thirteen acres. He soon sold the southeast corner of the intersection to the Richards Family with the provision that a house would soon be built there. 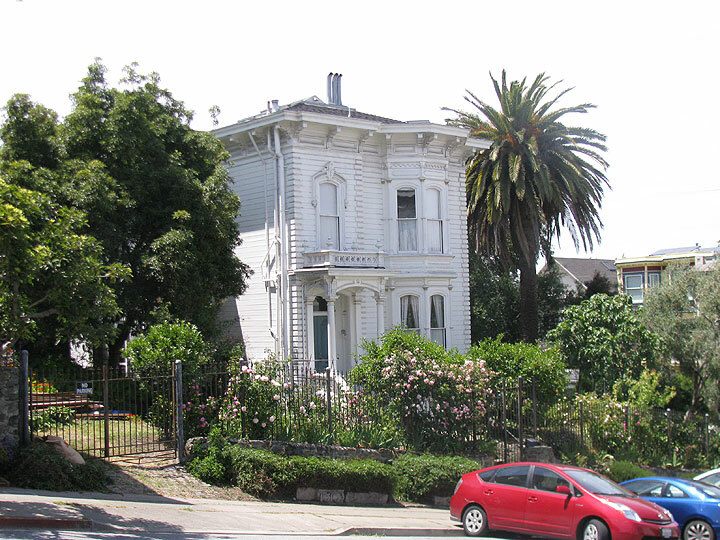 Around 1865, the Richards' home was finished, and is today occupied by an ambulance service. 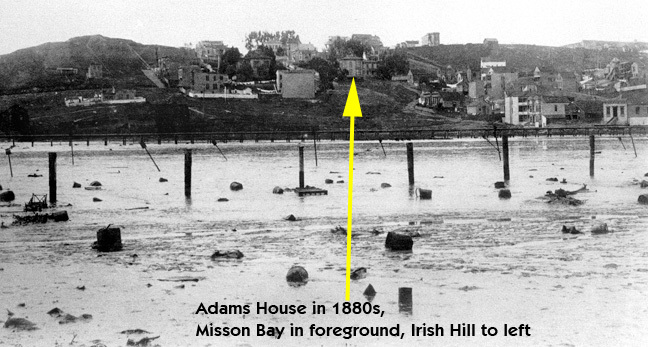 Mission Bay when it was not yet filled, the arrow pointing to the Adams House on Potrero Hill. At the time of Captain Adams' purchase of property, the bay water was only one block from the house. 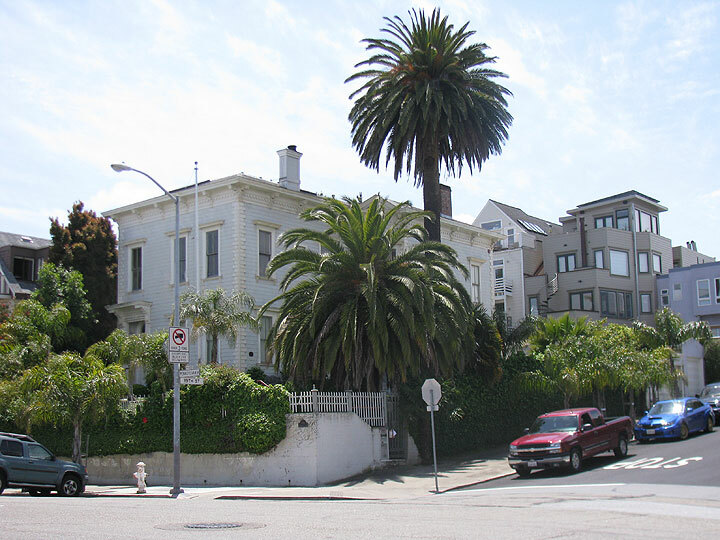 This was the area of Mariposa and Eighteenth, and must have been a factor in the selection of the southwest corner of Pennsylvania Street intersection for his home. The structure is still standing today, and is quite impressive in its stately size and surrounding grounds. On top of the house the remains of the Captain's Walk can still be seen. 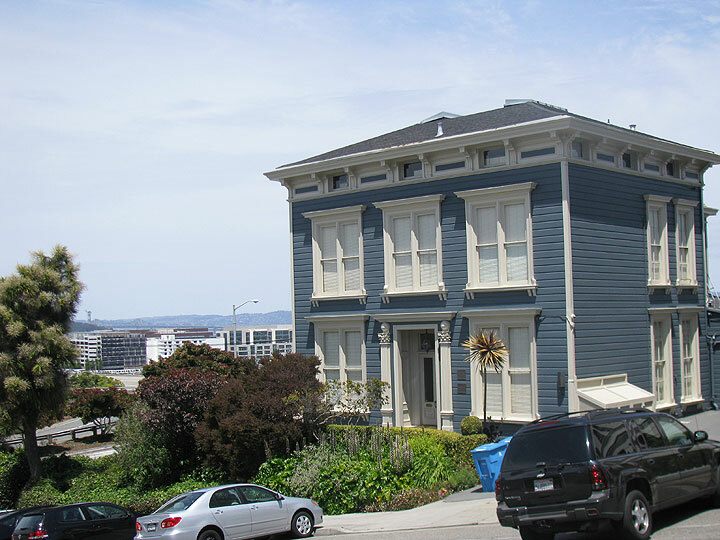 Many of the old homes of San Francisco had an area on top of the roof for wives to watch for returning ships. The lumber used in the house lay on the ground for a period of two years. Captain Adams wanted the lumber to age properly, and checked it frequently. The house was built somewhat like a ship. The attic, for example, was one huge room like the inverted keel of a ship. Enclosed in the huge attic were two large storage tanks to provide water for the house. Outside on the south side of the house were a spring and well. Water was piped to the attic, and flowing from the hot water tank passed through pipes adjacent to the fireplaces. At these points it was warmed by the fires and emerged as hot water in the bathtub. 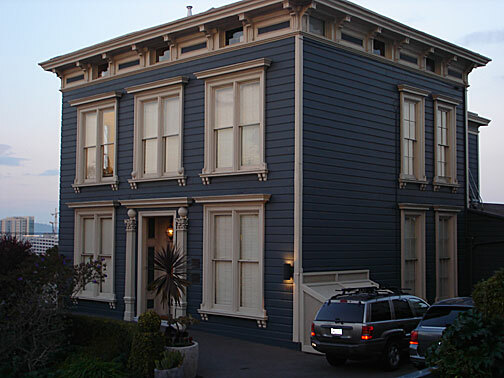 Richards House, seen here in 2007. The well and springs also served as a fresh water supply for the many 1906 earthquake refugees, according to Mr. Thorburn Adams. 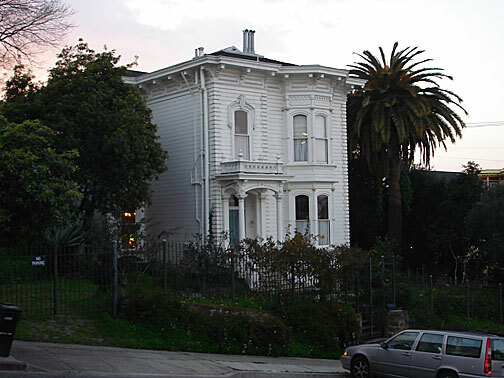 The Adams' house, built in 1867, and the Richards' house were two of the earliest large houses built on Potrero Hill, and were also two of the first using the bay window. A third house, built by the Croall family, is still standing at the southwest corner of Nineteenth and Pennsylvania Streets. The Croall House, July 23, 2009. Mrs. C.F. 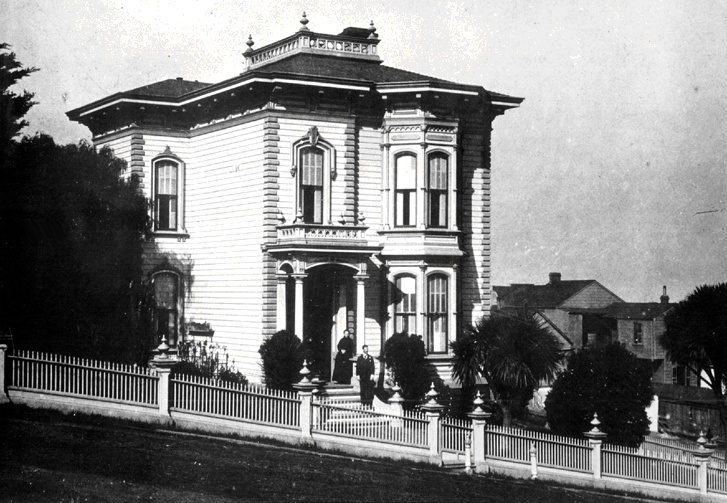 Adams could remember moving to the Adams' house in 1898 as a young bride. There were a few scattered houses, mostly in the areas of Scotch Hill and Eighteenth Street.